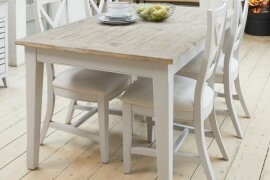 The Wooden Furniture Store’s Mobel Oak collection has always been one of our best selling ranges but our photographs were started to look a bit dated and didn’t really do the range justice. We’ve commissioned some new images and are delighted with the results – they really make us #houseproud! The Mobel Oak collection is modern, practical and stylish and suitable for both contemporary and more traditional style homes. The range is made from high grade, solid oak sourced from sustainable, managed plantations and highlighted with a hard wearing varnish to protect the wood and bring out the natural beauty of the oak grain. 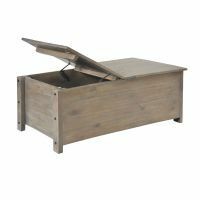 Each piece of furniture is designed to last a lifetime with hardwood back, drawer inners and finished with tongue and groove detailing and stylish brushed steel handles. The collection is delivered fully assembled within 10 working days and features pieces for the home office, living and dining room. Here is a pick of our favourites….. 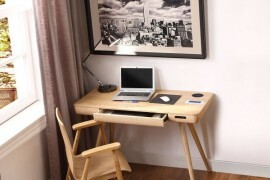 The Mobel Oak hidden home office twin pedestal desk is one of our best-selling styles of desk – and you can see why. Not only is it spacious and stylish, it is also extremely practical with plenty of storage and extra desktop space with a handy pull out keyboard drawer. There’s a home for all your computer equipment inside, with two cupboards which both have adjustable shelves and space to hold a computer tower, printer and modem plus two large stationery drawers. The back of the desk has pre-drilled cable holes to allow you to keep all your wiring neat and tidy. 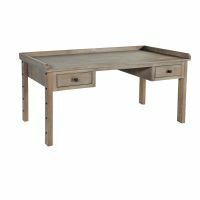 This substantial desk is delivery fully assembled and also available in the range are a selection of other desk designs and sizes and coordinating filing cabinets. 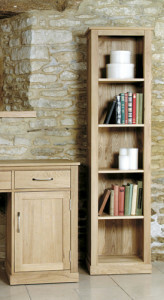 The Mobel Oak narrow bookcase is a timeless option for storing books or ornaments and because of it’s narrow width, it fits perfectly into awkward corners and alcoves. 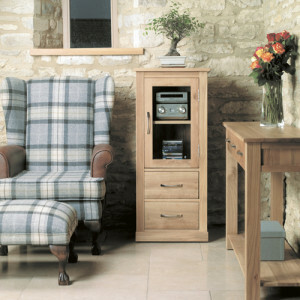 The bookcase has five fixed shelves and would look equally at home in the living, dining room or home office. The Mobel Oak large glazed display cabinet is a beautiful piece of furniture that is a stunning option for elegant storage in the kitchen. 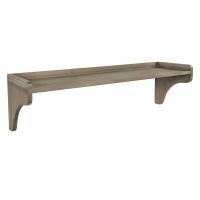 The glazed top part of the cabinet is very versatile with four shelves, three of which are adjustable or removable and at the bottom there are two large drawers. Delivered fully assembled, the cabinet is crafted from the highest grade, solid oak and beautifully finished with panel side detailing and brushed steel handles. 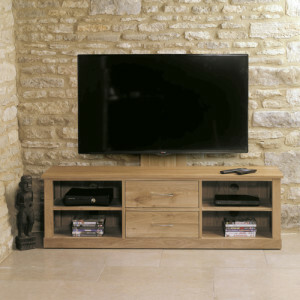 For a contemporary style of TV storage, the Mobel Oak mounted widescreen TV cabinet is a perfect option. The cabinet has an adjustable and removable television mounting bracket built in and is designed to hold a TV up to 60″ wide. There’s plenty of storage in the unit, with two drawers in the centre which are finished with brushed steel handles, two fixed shelves on either side plus the unit comes with pre-drilled cable holes. 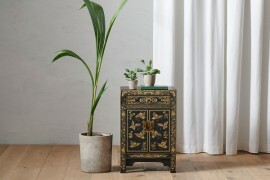 The cabinet is delivered fully assembled and also available in the range are a selection of coordinating coffee tables, bookcases and sideboards. The Mobel Oak Hi-Fi cabinet is a smart and practical piece of living room storage. The cabinet has two large drawers which are perfect for CD storage. In the top section, behind the glass door is a fixed storage shelf , the glass door means the remote control of the hi-fi works when the door is shut. The unit is beautifully finished with brush steel handles on the door and drawers and panel detailing on the sides. 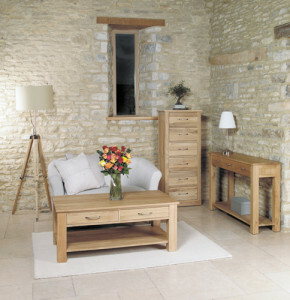 Help keep your living room tidy with the classic style of the The Mobel Oak 3 drawer lamp table. 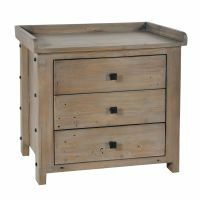 Crafted from solid oak, sourced from managed plantations, the table has three large storage drawers which are each finished with a round steel knob. 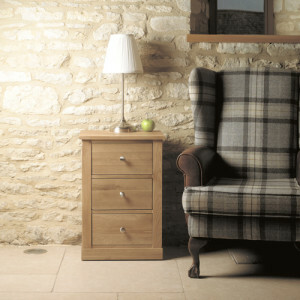 As well as being perfect for the living room, the simple style of the lamp table would work well as a bedside table. You can never have too many shoes but you need somewhere to keep them all. 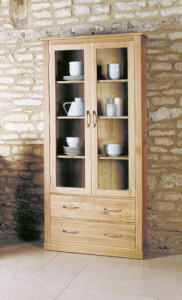 So let us introduce, from our best selling range of shoe storage, the Mobel Oak tall shoe cupboard. This fantastic cupboard has seven shelves (one of which is adjustable for boot storage) and holds up to 16 pairs of shoes. The cupboard also comes with a handy wicker basket that slides under the lowest shelf and could be used for accessory storage. The cupboard is beautifully made from solid, environmentally friendly oak, which is finished with a satin lacquer to highlight the natural grain of the wood and best of all this substantial piece of shoe storage is delivered fully assembled. 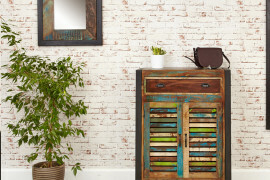 We hope that you agree that the new pictures of the Mobel Oak range would make you #houseproud. 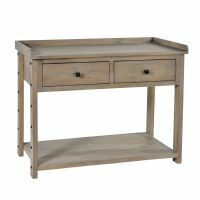 This is just our pick of a few items form the range, to view the Mobel Oak collection please click here.